On the Kalyan-Kasara route, there is the Jagrut Mandir of Shri MahaGunapati at Titwala, situated on the banks of Kalu river. Chimajiappa built this temple of Shri MahaGanapati after winning the Portuguese at Vasai. Mahanaganapati Temple and Vitthal Temple is one of the most visited destinations. 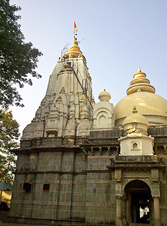 Ganpati Temple at Titwala is one of eight famous Ganapati temples in Maharashtra. Earlier there was an ashram of the Rushi Kanva. 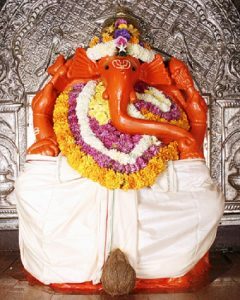 Shakuntala is said to have worshiped this MahaGanapati, and that is why this Mahaganapati is also known as ‘Vivah Vinayak’. From the Central Railway Chhatrapati Shivaji Terminus railway station, there are trains from Kasara, Asangaon and Titwala. This village is a little away from the station. Bus service is available there. This temple is 3 km away from Titwala station. Rickshaw or horse carriage is used in the station to go to the temple. This temple was built by Chitraraja Yanyani in the year 1060. This temple is known as the oldest and historic temple. Ambarnath’s Shivamandir is the first land house in India which is very artistic. “Shiv Mandir of Ambernath” which is witnessing sculpture is an excellent example of architecture, which is bearing the brunt of rain and famine for years. 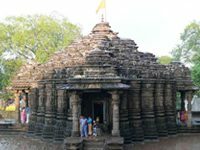 Ambernath’s legend Shivamandir is included in the 218 Artistic architecture declared by UNESCO. This temple is full of stone sculptures and the land of the temple is covered with the skin of the tiger. Ambernath taluka is famous for Shivamandir . This temple is near the Ambarnath station of Central Railway. Vajreshwari village in Bhiwandi taluka of Thane district is one of the important places of religious places in Maharashtra due to the healthy hot water ponds. This place is situated on the banks of Tansa river and the Samadhi of Srinithanand Maharaj is situated here. The Vajreshwari Devi temple built by Chimaji App is also famous. Hot water springs in Akloli and Ganeshpuri are the main attraction for tourists. These fountains are believed to contain hot water with medicinal properties.